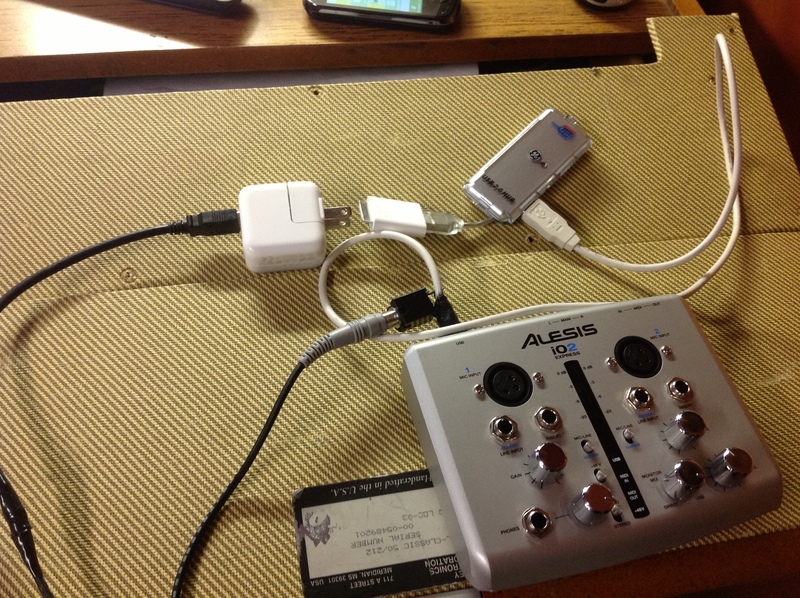 I was wanting to come up with a way to record my guitar among other things with my iPad without having to drop the $180.00 or so on an Alesis iO dock that honestly wasn’t as functional as what I wanted. Plus, I had heard a lot of reviews saying that the iO Dock didnt work with the iPad 3. So, I started scouring the Internet looking for a better solution. 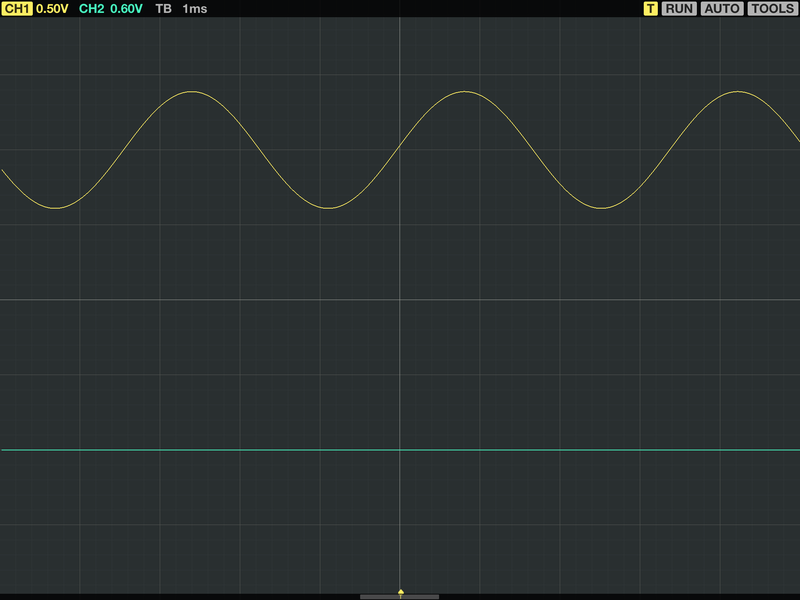 That’s when I stumbled upon the iO2 Express by Alesis. I was thrilled when I saw that this device was about $100.00 less than the iO Dock. The only thing stopping me from buying the device was the fact that I would have to modify it a bit to make it work with my iPad (the iO2 Express was intended to be used with CubaseLE on a PC or Mac). After buying it, I realized that I had a little more work to do than what I thought. To make the device work with my iPad I had to isolate the iO2’s power from the iPad because the iPad couldn’t provide enough current to power the device. So, I opened up the iO2 and removed the existing USB B female jack, making sure to remember which pin was where (i.e. power pin, ground, data+, data-). Next, I made a Franken-cable of sorts to provide +5V to the iO2. I cut the head off of one end of an instrument cable and I also cut the head off of one end of a USB cable leaving the USB A head that normally plugs into a computer. I stripped off the end of both cables to expose the inner wires. On the USB cable there were five wires: Red, black, white, green, and bare. 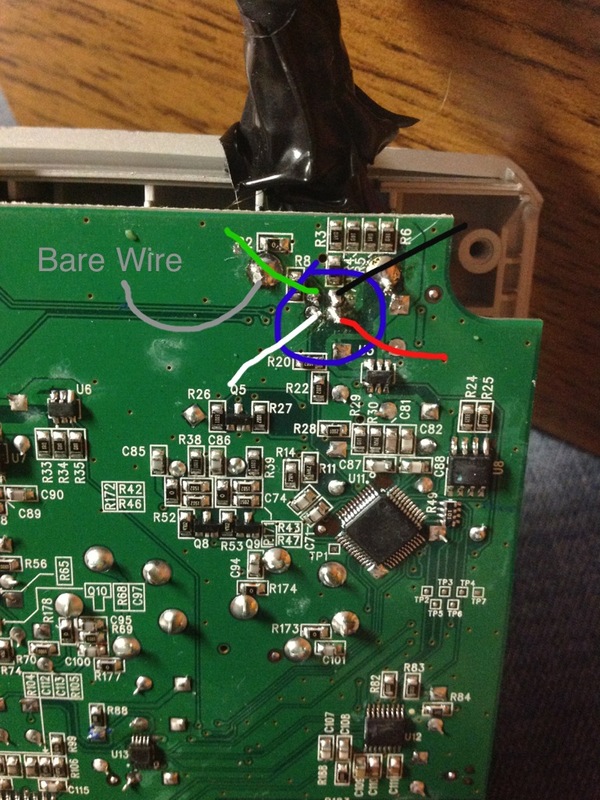 The red wire is the +5V power line, the black is ground, white is data negative, green is data positive, and the bare wire is the chassis ground. The only wires I cared about were the red, black, and bare ones. On the instrument cable, there were two wires. One was the inner insulated wire which went to the tip of the plug and the other was the outer bare wire which went to the sleeve of the plug. I attached the red wire of the USB cable to the tip wire of the instrument cable. I also attached the black and bare wires of the USB cable to the sleeve wire of instrument cable. Finally, I wrapped each connection with electrical tape to ensure good insulation to prevent shorts. On to the iO2. On the PCB of the iO2 I installed a female instrument cable jack. I attached the tip connection to the +5v pin and the sleeve connection to ground (note how this corresponds with the Franken-cable’s setup). 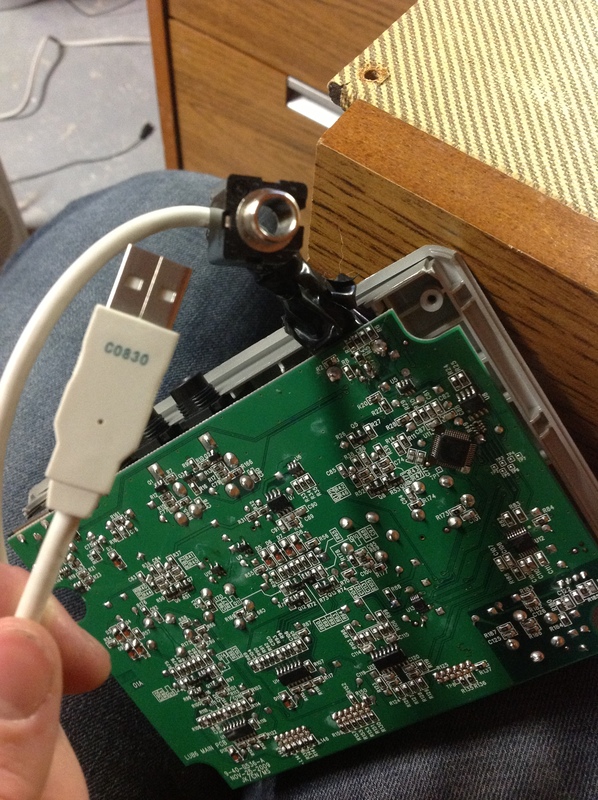 Next, I mutilated yet another USB cable again cutting off the head and leaving the A end intact. This time, I wanted the black, white, green, and bare wires. I attached the green wire to the data+ pin, the white to the data- pin and both the black and bare wires to ground. Finally I slapped some electrical tape on there to try and hold everything together and to provide insulation. You can see in one of the pictures where all the wires go. I just attached the bare wire to one of the old through hole mounts for the original female USB B jack. Beyond the mods to the actual iO2 I had to buy the Apple Camera Connection kit for about $20 on Ebay. I also had to buy a USB hub because for some reason the iO2 won’t work with the iPad without it. It seems almost as if the hub tricks the iPad. That’s the only part of this whole thing that I honestly have no idea why it works. I found that fix by googling some iPad forums. Anyway, when operating the device, use the Franken-cable to provide the iO2 with power. I just plug the USB end into my Apple charger because it outputs +5V (any other USB based charger should work) and I plug the instrument cable end into the jack I installed on the iO2. Plug the USB cable that has its data pins connected to the iO2 into the USB hub, plug the hub into the Camera Connection Kit, and plug the CCK into the iPad and it should work…hopefully. I’ve really gotten a lot of use out of this setup. I use it for recordings a bit, but much to my surprise, I use it quite a bit more as an interface with an oscilloscope app I found in the App Store. Believe it or not it works pretty well! We tested it against an actual analog oscope to find that the waveforms look the same and measure about the same as well! All in all, I put about $100 into the project which was totally worth it in my opinion. Cool mod 😀 hey I have one of these too – It won’t power on via an apple USB charger tho or HTC? I like to use with a HV30 camcorder on the go via beachtech XLR inputs. Power is the only issue – I guess I could carry a laptop with it all hooked up. Can this run stand alone from a USB charger tho? thx bro. Thanks! I believe it needs to have an actual USB data connection for it to power up, but that’s just a guess, not a fact. Yes – Tried via a few chargers does not power on – lookd like windows XP driver once loaded nothing to download 🙂 then it powered on – old T23 with the lid closed – setup power and lid switch first in CPanel not to sleep – is used for car data logger so already set. 🙂 now mobile just bit heavier chunky T series – has better shielded usb ports compared to most netbooks – these are USB1 and still works. HV30 sees a good signal in via DXA-4 balanced TRS outs from iO2 to XLR. Another good find was the HV30 actually can use a SM7B x DXA-4 without the iO2 – works ok – and a little better with the i02 gain around 1/2 to 3/4. 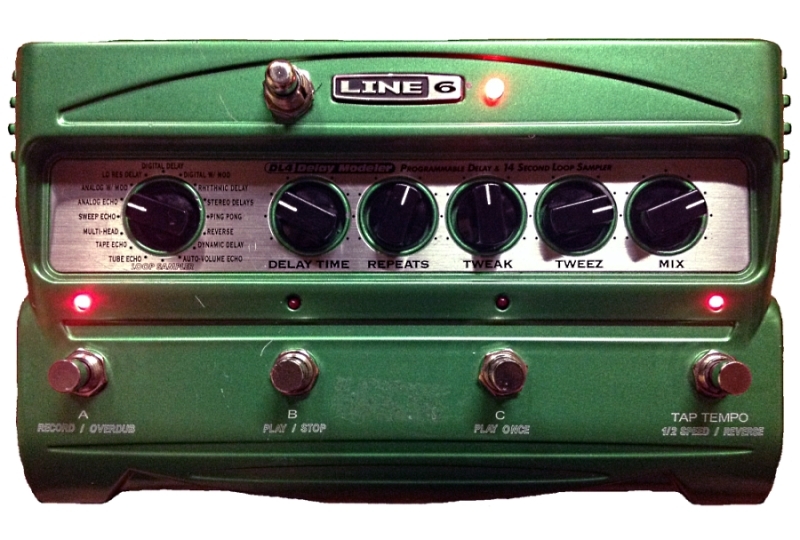 iO2 now provides phantom powering within the budget.”Hard wired LAV” setup . Cant fault this for price . Looks like a cool set up. I bought a m-audio m- track plus and when I used it with garage band I had some delay and bad quality because it was not working great with garage band. Have you experienced any problems with using the interface itself other than the power issue? Thanks! Nope, I haven’t experienced any trouble or delays with Garageband or any other app that uses the usb audio interface using this setup. 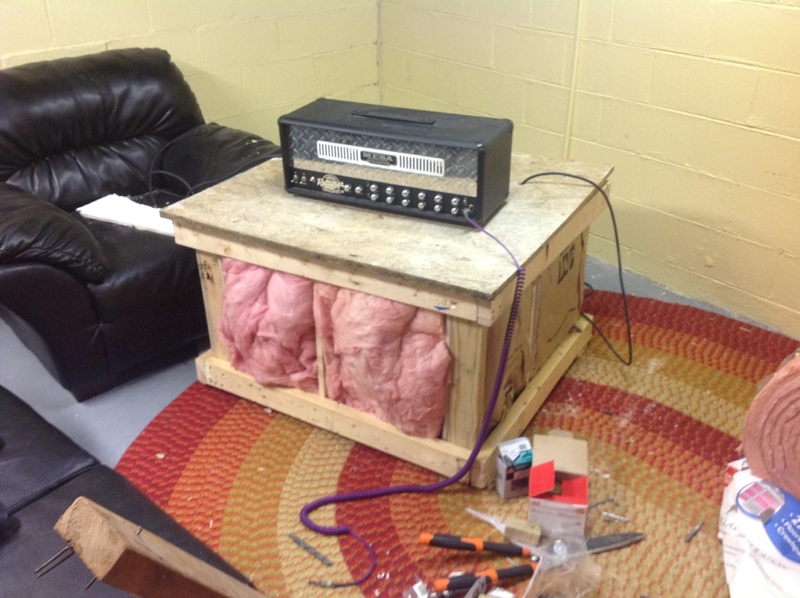 I built this to isolate my speaker cabinet so I can play in smaller venues by miking my amp inside the box and running that to the sound board. It still needs some work though, and I need to finish the outer walls before putting it to use.